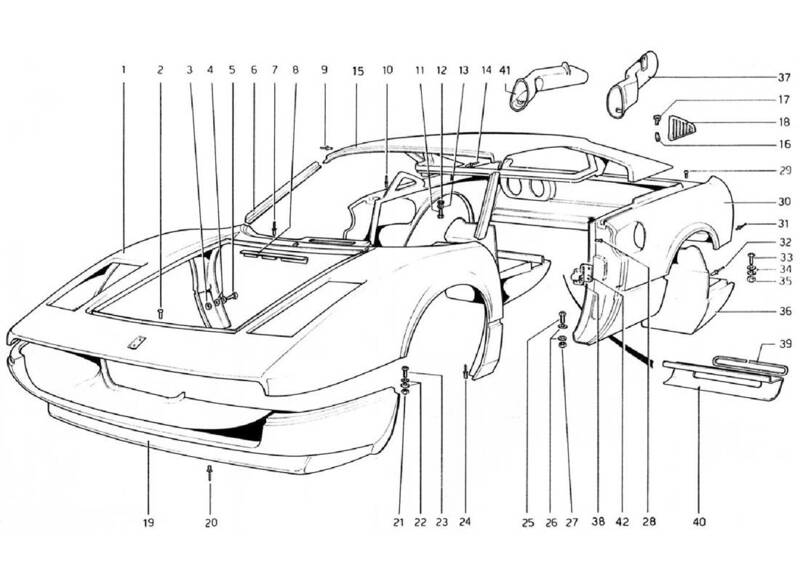 Ferrari 308 GTB (1976) BODY SHELL - OUTER ELEMENTS (VALID FOR RHD - AUS VERSIONS) - Ricambi America, Inc. Location: 36 Prev | Next Part: 60209509 *Qty: 1 Rivestimento post, inferiore Dx. Location: 36 Prev | Next Part: 60209608 *Qty: 1 Rivestimento post, inferiore Sx. Location: 37 Prev | Next Part: 60222403 *Qty: 1 Condotto presa aria Sx.